Magical rings, asteroid rings, wedding rings, rings with special inscriptions. The Skywriters Ring Anthology is full of magic and adventure. 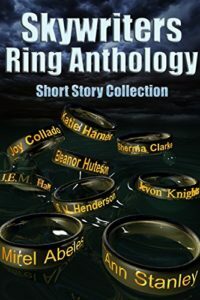 This collection contains ring-themed stories from Skywriters, ranging from a wife receiving a ring engraved with a message from her husband when he emigrates to America, to an asteroid ring miner who must survive an attack from giant intergalactic spiders. The collection was published by Skywriter chief James Hall, and I think he did an excellent job. And interestingly, thanks to him, along with my contribution, I am now officially an author. Check out my aurhtor pages on Internet giants Amazon and Goodreads. This really caught me by surprise. Now all I have to do is actually publish a novel. No pressure. 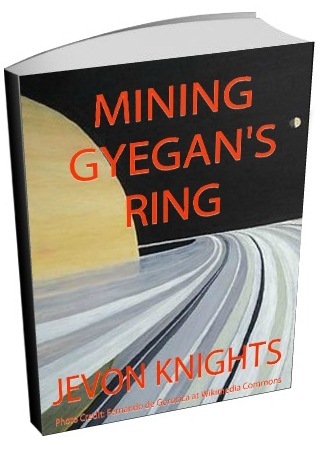 My short story is also coming out soon as a free ebook. I’ll let you know when it becomes available. So check out the Skywriters Ring Anthology, post a review, and stay tuned for more science fiction fantasy articles. Congrats J. I’m very proud of you.